Jaimie Flack has created several Living Lockets, but her latest is one that she designed with extra-special care. 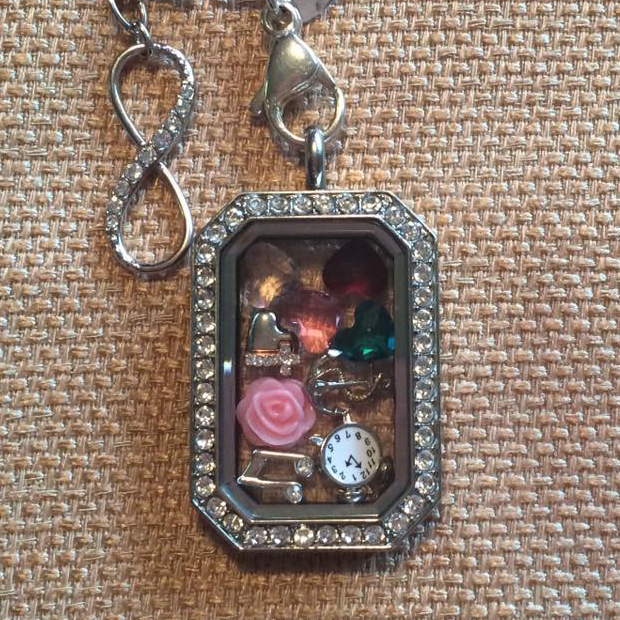 She started choosing charms for the locket when she learned that she was expecting baby No. 2 – with birthstones for everyone in the family, including the Blue Zircon for December, when the baby would be due. 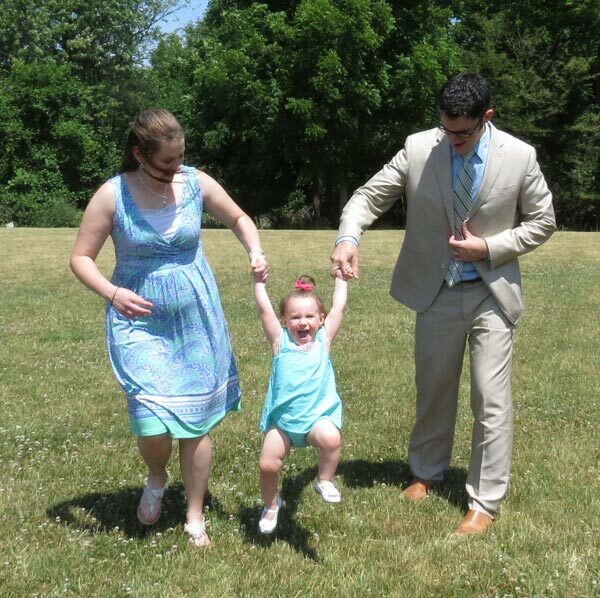 She and husband, Randall, and Kacie, their 17-month-old, were excited to welcome the new addition to the family. But then Jaimie miscarried early in the pregnancy. Faced with grieving what might have been, they turned to God, to each other, and to honoring the little one they have faith they will someday meet again. While the miscarriage was recent, Jaimie said she is recovering well, thanks to support from family, friends and her faith. And as an Origami Owl® Designer, she said it has helped to put together a Living Locket that captures their love for each other, as well as reminders of what matters most to them. These “reminders” during a difficult time like the recent miscarriage are what Jaimie describes as part of why she loves Origami Owl so much. “Personally for me, I think the lockets are a good way to tell your story to other people, but they’re also a good way to remind myself of things I need to remember,” said Jaimie. She first discovered Origami Owl when an old college friend became a Designer and told her about it. This friend also posted a couple very meaningful lockets on Facebook, which convinced Jaimie that Origami Owl was something very special. Although Jaimie had never considered herself a social selling kind of person, she was drawn to the power of the stories. She asked her friend a lot of questions, and eventually decided to join Origami Owl. “Being a part of Origami Owl has been a really cool way to reconnect with other college friends who joined around the same time. A lot of our old friendships have been rekindled through our team. It’s also given me an opportunity to get to know a bunch of ladies I wouldn’t have otherwise met. We were pretty new to the area, and I’ve gotten to know people through connections made at Jewelry Bars,” said Jaimie. Our hearts go out to Jaimie and her family – and all families who have faced a similar loss. Origami Owl is grateful to be a part of helping families reflect and cherish life’s most tender moments.